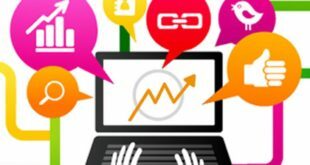 Money Transforming System is the essential goal for business and hence it is important to provide a strong money transaction to everyone who relate to business and for everyone who earning money. Money transforming is basic job for to transfer money from different range of countries, areas and zones. The people now a day it’s common to transfer money to his friends, family members and for business purposes. The people use different methods for money transforming. For example, through bank, easy paisa and by private money transaction system. Transforming money not having rang but it transfers globally. Advance technologies are used to transfer the money and promote the transaction system throughout the world to bring transforming fast and secure. Money transaction System consist of tasks such as registering name of sender, Amount of money to be sanded, name, address and cast of receiver how receive the money and finally give the written report to sender and receiver for ensuring that the money is transfer. The Software develops for storing and retrieving record of both sender and receiver. The database stores the records of all Transaction among people which locate in or outside of country through this we ensure the data consistency. These keep the daily record of rates by daily transaction of money exchange and store the record of customer in customer ledger. Through this software we retrieve the record of customer and receiver from year to year. At least all the process include during the transaction of money from person to another where they locate in the country or outside of country also create the printed report for ensuring the transaction to customer, franchise and receiver of money. 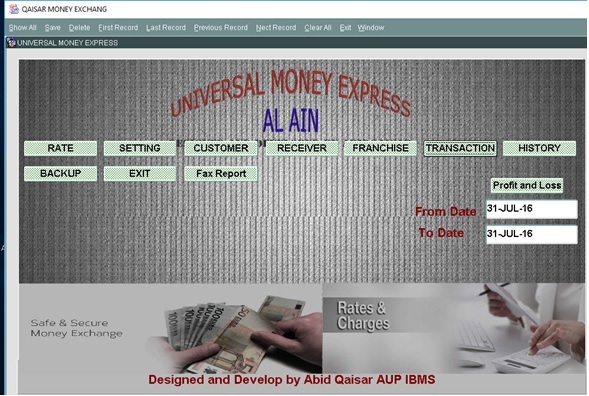 The existing system of the transferring money on manual basis. All type of information is stored using papers and big size registers which are very difficult to manage. This entire job is time and space consuming. This type of system has no backup facility. It also has some other problems like data redundancy (repetition), difficulty in searching a specific record etc. So after studying all type of difficulties and limitations of existing system, the institute management agreed to replace the current system with modern computerized system. Following are the limitations of existing manual system. The manual system wastes time in storing and retrieving a record e.g. 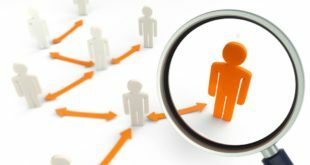 if transaction record of customer is required then the focal person will search all the customer one by one to find a definite record in bundles of papers and registers. This type of searching is very difficult and time consuming. On the other hand, computerized systems provide easy searching facility. As in manual system all the records are maintain through files and registers which requires a lot of space to be placed. Also after two or three years it will be difficult to save data at one place. As records are save in form of files and registers. It is difficult to guarantee data security, also there is chance of misuse or misplace of any file or register. The data security is a serious problem of manual system, it is almost impossible to secure files and registers, On the other hand computerized systems provides strong data security. In manual systems it is impossible to maintain data at more than one place, so backup facility is not available in manual system which decreases the chance of data recovery in case of misplacing. If organization wants to make data backup manually then the financial expenditure becomes double also data accuracy disturbed while making backup. So such a system is needed where backup can be made without disturbing data accuracy. So computerized system provides facilities of making backup with strong data security and accuracy. In manual processing all the record is scattered and finding a specific record is time consuming. E.g. 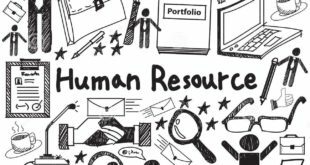 to find a specific record a focal person will check all the cupboard and files to find a particular record. 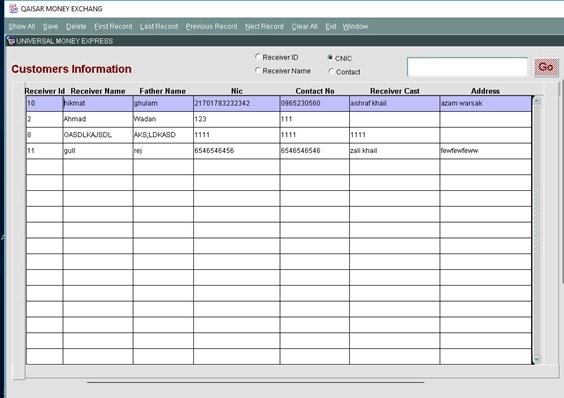 In manual system data of a specific customer or receiver is not easy to search. If data is stored in files and papers then to search specific record after gap of time becomes impossible for staff. More employ and extra cost to maintain and organize the institute data manually, if an office has got more employees its expenses becomes high and create an economical problem, On the other hand reducing the number of employ can affect the official work, so more manpower is needed to operate a system manually. 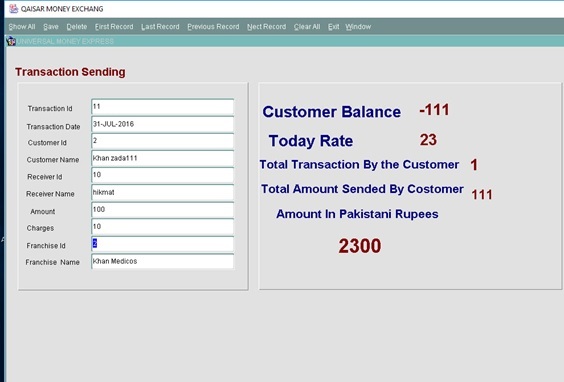 In manual system data maintenance is much difficult for staffs; information may loss and can be misused by someone that’s why we proposed the newly developed computerized system to avoid such problems where data maintenance is maximum and secure. Manual systems need extra paper work to organize record. There are different kinds of registers in organization where the information is store one by one. Therefore, extra work has to be performing by the staff. One of the many problems of manual system is data redundancy where same data is repeated in multiple locations. And it is very difficult to maintain that information in all places at a time. The present manual system of the franchise is lengthy and time consuming. To get information about a specific customer or receiver requires a lot of time. Also it is less responsive. There are hundreds of customer and dozens of teachers in school, so the record keeping and retrieving becomes a tedious and laborious job. Also it is more space consuming, so in order to eliminate these and other problems, the current manual system was suggested to be computerized. Computerization of the system means to change it from manual to fully computer based system to automate the data and provide efficiency, accuracy and timeless security and economy. Computer based system is a tool, which can help the managements to exercise an effective and timely decision making. The new system is designed after analyzing the existing system. It is more efficient, fast and accurate. The new system is developed to remove the drawbacks of the present system. The computerized system not only provides quick access but also provides valid and accurate information about students. It is necessary to describe the expected benefits of the proposed system i-e why we prefer the computerized school information system to existing manual school information system. Propose system can eliminate most crucial problems. The accurate results are produced by the computerized system. There is only one source for input, thus the results are more reliable and accurate as compared to present system. For better user information, interactive input screen is well designed, they would made the data entry simple and easy for the user and the data will be accepted in the same manner as it is done manually, but in a much attractive way. The program requires no special training for its operation. Because it is user friendly and communicates with user in simple English language. Thus any person who has some knowledge of computer and English language can use it can operate it, giving a user guide to read. All the records in the previous system were kept in bulky registers. Therefore a lot paper work was required for it. But now due to this new system all the records will take minimum area. The information can be accessed and retrieved very quickly as compared to manual system. The program provides the facility to keep complete record of the customer i-e credit, debit, name, address, phone number and the transaction. The proposed system provides the updating facility. The user can update any of the record related the customer or receiver information at any time very easily as compared to the old system. The proposed system provides the facility to back up the data for safety purposes in case of data corruption. 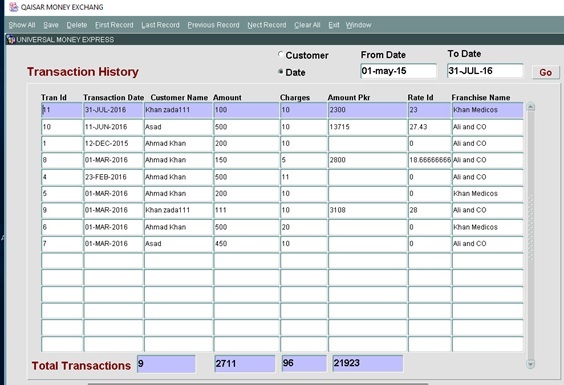 Different ledger and daily account book are used in money transaction system and all problem of updating records in these registers occurs, so for this purpose powerful software was needed to update all records consistently. Since the same data is stored at one place, therefore any change made to it doesn’t require changing it at other location. So the chances of inconsistency are minimized. The purposed system will provide enough security against data loss and illegal access to the data, so that no unauthorized user will be able to get access to data. No changes can be made by unauthorized user because there will be proper password for only authorized users to enter to the database. In the new system, information can be obtained without any delay whenever needed. The desired information be available by clicking the buttons or menu items in no time contrast to the manual system. In the proposed system no work is involved. It helps in reducing of making entry of data of candidates, the entry of data, printing results of customer transaction. The computers will do the rest of the work. The proposed system is flexible enough i-e addition of new records, updating of records and handling of new applications are possible. As the new system uses computer technology, the processing is much faster as compared to the manual system. In the new system data is stored centrally. The storage of the same data is done at a single location. So the redundancy of the data has been reduced up to a great extant as compared to the present system, where the same data has to be stored in different registers and files. In the proposed system, all the input data is stored in the appropriate database files. Moreover, the user can store the same data only at a single location thus reducing consumption and redundancy and hence the chances of errors are minimized. The output generally includes reports that are frequently required and generated. The proposed system generates well documented, comprehensive, accurate and informative reports both on screen and printer. The major purpose of establishing a database is to retrieve information quickly and efficiently. The organization is mainly concerned with output produce by the system irrespective of its internal working. The proposed system will produce different reports, which will be helpful to the management of the college. The scope of any new technology is to make people life easier. 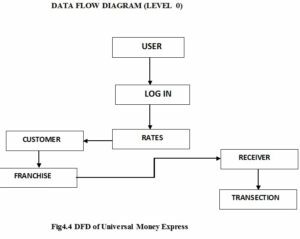 This project is database used to manage the money transaction system and allows the focal person to register the daily required information of customer, receiver and money franchise center. Insert Customer’s information such as customer name, customer father name, customer credit, customer debit, customer contact number, address etc. Insert receiver’s information such as Receiver name, receiver father name, receiver cast, receiver amount, receiver contact number, receiver address etc. 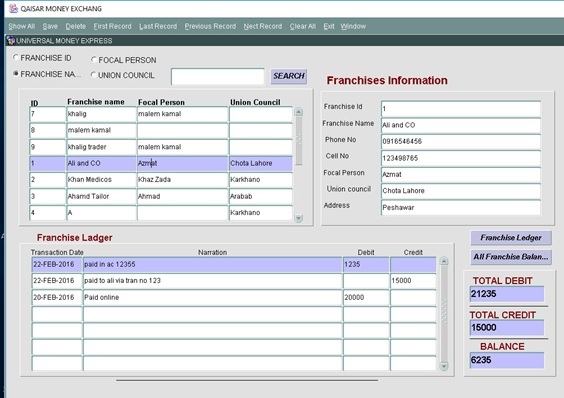 Insert franchise’s information such as franchise name, district name, council name etc. 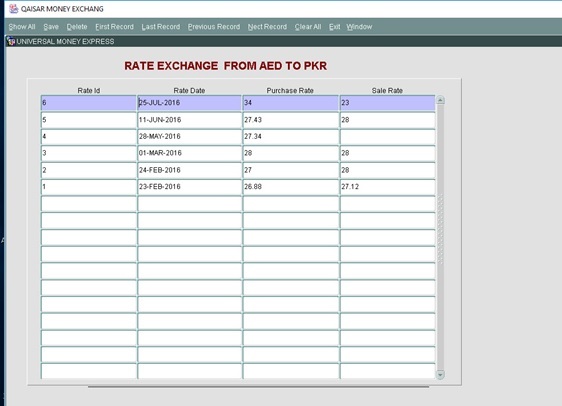 Insert transaction information for each date for each he/she done. View ledger about each customer and can edit it like adding or removing a record. View data about each franchise and can edit it like adding or removing an record. Design phase is conducted after system analysis and this is first step that moves from conceptual model to developmental model. In this phase we have documented the information requirements of the organization into conceptual model. E.R.D. (s) were constructed using relationships between entities and flow of information in the organization. Coding is the main part of the system developmental life cycle, through coding we make instructions to computers how to fulfill the requirements of end users and controls its flow of information. For this purpose, we use Oracle 10g. The database was tested for different inputs to ensure the restriction of data as well as its support for the users. The database is designed according to the rules of Relational Database Management System using SQL Plus. A database is an organized collection of information. The data is stored in computer in tables so far an accurate and free of anomalies, system table designing is of key importance. Our database consists of following tables. Country_id Number Stores country id. DESCRIPTION: This table saves information about country. This is the main table. DESCRIPTION:- This table contains the Districts information of the District i-e Peshawar, D I Khan, Swat etc. 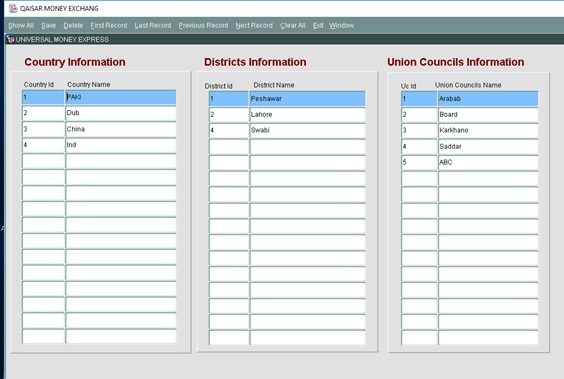 DESCRIPTION:- This table contains the information about the Union councils of the Districts. DESCRIPTION: – This table contains the information about the Transaction of the Money in the Money Exchange System. This table contains the date and status of the Money Transaction. FOREIGN KEY:- Customer_ID, Receiver_ID, Rate_ID, Franchise_ID. 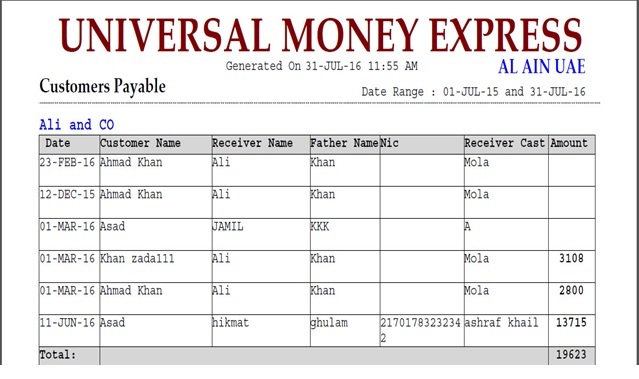 DESCRIPTION:- This table stores record of receiver, their name, father name contact number etc.receiver is the person who receive the money from any franchise. DESCRIPTION:- This table stores information about the customer who want send money to receiver or store money with in a money transaction shop. 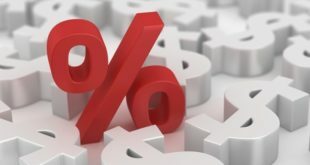 DESCRIPTION:- This table contains all the information about the different rates of currency at different date which we get and give to the customer. The entity relationship diagram is a way of showing the relationships between the fields of a table with in the same table or with in other tables. Graphical relationships between the objects are represented by entity relationship diagram. This diagrammatic representation makes it easy for us to arrange the tables. There are some fields in a table which are set to be unique for purpose that we can make search on the basis of them. Those unique fields are called Primary key. While in other table those fields are known as foreign keys. 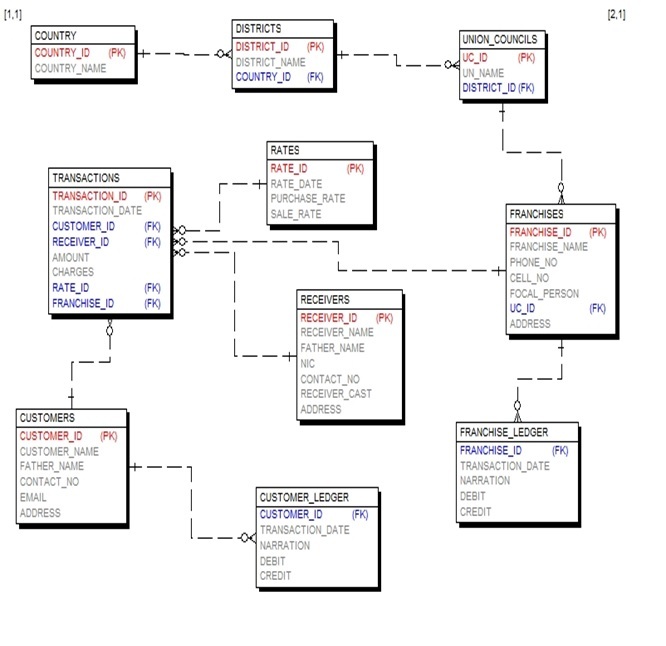 ERD shows the relationship between data objects, Attributes, Relationship and various type indicators are primary component of entity relationship diagram. An entity is a person, place, object or concepts in the user environment about which the organization wishes to maintain data. Entities are represented by labeled rectangle. An attribute is a property or characteristics of an entity or relationship that is of interest to the organization. Attributes are represented by ellipse symbol. A meaningful association between or among entity types is called relationship. The degree of a relationship is the number of entity types that participate in the relationship. The most common relationship types are unary (degree one), binary (degree two) and ternary (degree three). Relationships are indicated with a diamond symbol and the line connecting two or more entities. 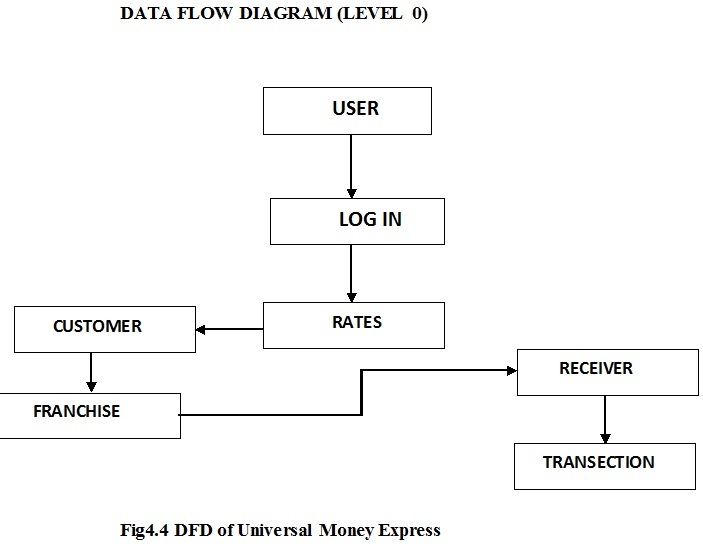 The data flow diagram is a systematic way of showing the flow of data in an organization or company. 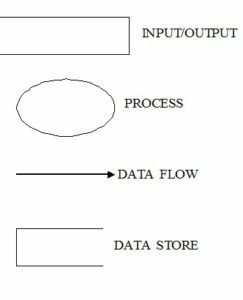 The data flow diagram is very helpful to understand the whole procedure in an organization. It is the graphical representation which tells us the flow of information or data within the system. DFD explains the flow of information by specific symbols. DFD has four symbols for showing dataflow. 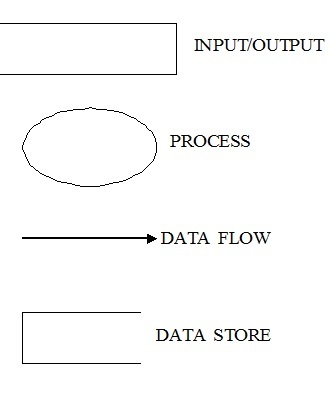 These are process Data store, Data flow and Entities. In every system development testing is the very crucial one. It has the very critical importance with regard to system development. Is it conformed to the requirement? Has all the facilities have been provided that were pledged? Every newly system development certainly have some errors and bugs. 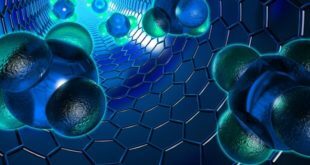 The only way to overcome is that of proper testing in this we can overcome our deficiencies and can achieve the quality target though in appropriate testing further to the drastic flaws but also proper testing does not ensure the development of flawless system. The product could not be delivered to the end user without being tested. System testing of the developed system was performed these techniques. In the unit testing the different units of software are tested independently to locate error this help in locating error in loading and logic that were contained in particular page. After unit-testing combine testing of all the system is carried out the purpose was to determine that all the forms are correctly interfacing with each other. In this technique only the input and output of the system are checked. This technique is better for checking domain and range of the system data. In this technique the whole module is tested at each point for its behavior to different factors. 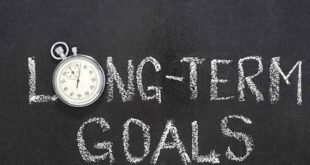 Final testing was done on the entire system to checks that the desired requirement is meet or not the main aim to determine the consistency in the developed system. 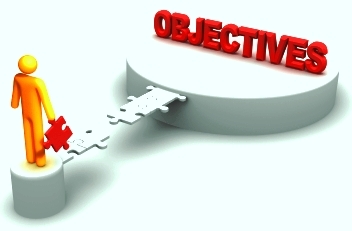 Operational system and allowing to user to take over the operation for the user and evaluation is called implementation. Implementation of system is important as its development. Organization must have windows XP or any windows from NT family in their system to install the Valuation and Pledge Management System. Organization must have at least Pentium III computer with 128 MB of primary Memory and must have at least 1.5 GB for free hard drive space. Printer is optional. If there are some problems notices in the post implementation review, these problems will be removed; also if the user want enhancement in the system, then these will be addressed according to the future need of the organization. The staff of the Department of Computer Science is familiar and trained to use the computer the user training will not be difficult.